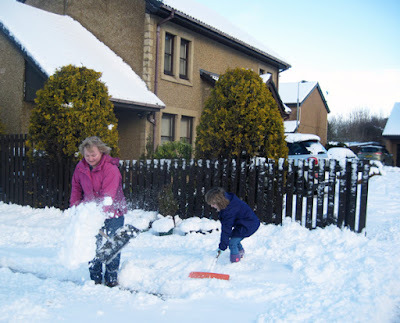 Journal Jottings : A Week of Snow, Flu Recovery & Home Based Activities. A Week of Snow, Flu Recovery & Home Based Activities. Another housebound week, still recovering from the flu, reading light weight novels, watching usual TV, working on my crochet throw project, and with little incentive to brave the elements of more snow outside. Very grateful to G and Nh for their sterling snow clearing efforts and friends, loaning me books and DVDs and bringing round goodies. I believe in the dictum "Feed a cold". Schools were closed for two days and events cancelled, including the Auld Earlston meeting. It doesn't take much snow to bring the country here to shut down, and the snow is nothing compared with what some places abroad are experiencing. On a lovely sunny day, I decided that fresh air and some exercise was called for, so took a short walk, and felt better for it. 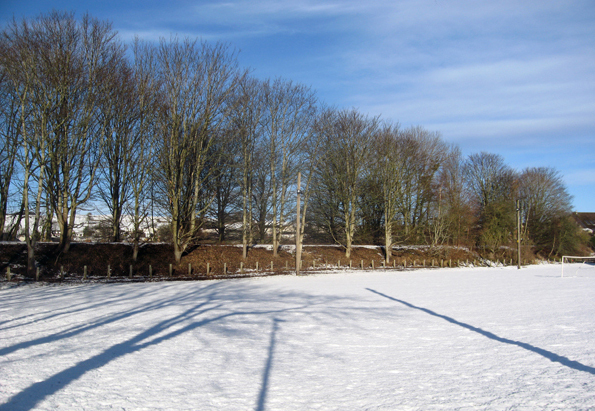 The row of trees along the old railway line in Earlston. G. birthday, though the meal was deferred because of the way I was feeling. However I have managed some productive times on the computer. At long last completed the family history narrative I was writing for a friend. 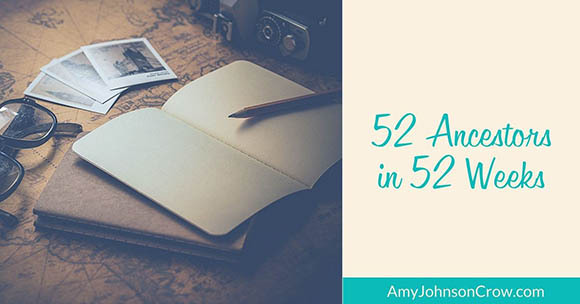 Signed up to a new 2018 Blogging Challenge, writing about "52 Ancestors in 52 Weeks". I have felt for some time I was getting a bit jaded with my Family History Fun blog and it needed a boost. So I have caught up on the first weeks of January to get on schedule, and am enjoying the broad weekly themes, such as A Favourite Photograph, the Census and Longevity. Made good progress on the final part of my Danson Family History, profiling my grandparents, mother, aunt and uncles. 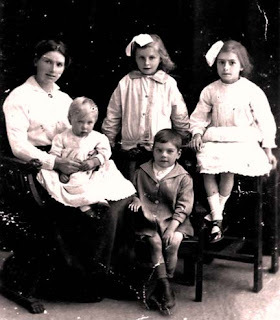 Edith, Kathleen (my mother), Harry and baby Billy. I rounded off the week, by watching my Christmas present DVD - the Royal Ballet in "La Fille Mal Gardee" - happy, colourful, lighthearted. beautiful and fun!